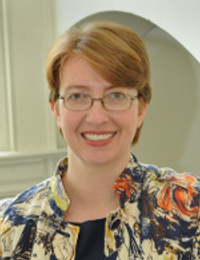 Jocelyn Neal (Bowman and Gordon Gray Distinguished Term Professor of Music and Adjunct Professor of American Studies) received a BA in music from Rice University in 1993, an MA from the Eastman School of Music in 1995, and a PhD in music theory from the Eastman School of Music in 2002. Her primary areas of research are commercial country music and American popular music, following on her dissertation (titled “Song Structure Determinants: Poetic Narrative, Phrase Structure, and Hypermeter in the Music of Jimmie Rodgers”). Dr. Neal teaches music theory, analysis, and popular music courses; her research addresses commercial country music, rhythm and meter, and dance/music interactions in popular music. She was a Fellow at the Mannes Institute for Advanced Studies in Music Theory (2005 and 2008). She has served as chair of the Popular Music Group for the Society of Music Theory, as a member of the editorial boards for the academic journal Music Theory Spectrum and Music Theory Online, and as co-editor of Southern Cultures (2009-2014). Dr. Neal regularly presents her research at national conferences on American music, popular music, music theory, and cultural studies. She served as Director of the Center for the Study of the American South at UNC from 2012-2013. She is also a series co-editor for Tracking Pop, a popular music book series from the University of Michigan Press, and serves on the College Board’s AP Music Theory Development Committee. Country Music: A Cultural and Stylistic History. New York: Oxford University Press, 2012.
with Bill C. Malone, co-author. Country Music U.S.A., Third Revised Edition. Austin: University of Texas Press, 2010. “Whither the Two-Step: Country Dance Re-Writes Its Musical Lineage,” in The Oxford Handbook of Country Music, ed. Travis Stimeling. New York: Oxford University Press, 2017, pp. 439-460. “Why ‘Ladies Love Country Boys’: Gender, Class, and Economics in Contemporary Country Music,” in Country Boys and Redneck Women: New Essays in Gender and Country Music, ed. Kristine McCusker and Diane Pecknold. Jackson: University of Mississippi Press, 2016, pp. 3-25. “Garth Brooks, New Country, and Rock’s Influence,” Backstage Pass, in What’s That Sound? An Introduction to Rock and Its History, by John Covach and Andrew Flory, 4th ed. New York: W.W. Norton, 2014. ( http://wwnorton.com/college/music/whats-that-sound4/passes.aspx). “Front Porch” Essays, Southern Cultures vol 19 no. 1 (Spring 2013); vol. 19 no. 4 (Winter 2013); vol. 20 no. 2 (Summer 2014); vol. 20 no. 4 (Winter 2014). “‘Nothing but a Little Old Pop Song’: Patsy Cline’s Music Style and the Evolution of Genre in the 1950s,”Sweet Dreams: The World of Patsy Cline, ed. Warren Hofstra. Urbana: University of Illinois Press, 2013, pp. 128-153. “The Online Challenge: Why Not Teach Music History Unconventionally?” Journal of Music History Pedagogy vol. 2 no. 1 (Fall 2011): 81-98. “Setting the Scene for Nashville Chrome’s Actors.” Southern Cultures vol. 16 no. 3 (Fall 2010): 6-9. “The Reincarnation of Jimmie’s Songs,” Waiting for a Train: Jimmie Rodgers’ America. Cleveland: Rock and Roll Hall of Fame, 2009, pp. 209-234. “Top Ten Country Music Stars.” Southern Cultures vol. 15 no. 3 (Fall 2009): 70-74. “When Recollection Is All We’ve Got: Analytical Exploration of ‘Catchy’ Songs.” Special Issue: Analysis and Performance Across the Canon. College Music Symposium vol. 47 (2007 [copyright 2008]): 12-22. “Dancing around the Subject: Race in Participatory Fan Culture.” Special Issue: Music, Race & Identity.Musical Quarterly vol. 89 no. 4 (2006 [copyright 2008]): 555-579. “Country-Pop Formulae and Craft: Shania Twain’s Musical Appeal,” Expression in Pop-Rock Music, ed. Walter Everett. Second Edition. New York: Routledge, 2008, pp. 285-311. “Narrative Paradigms, Musical Signifiers, and Form as Function in Country Music.” Music Theory Spectrum vol. 29 no. 1 (2007): 41-72. “Popular Music Analysis in American Music Theory.” Zeitschrift Der Gesellschaft für Musiktheorie vol. 2 no. 2 (2005). “Ernest Stoneman’s 1927 Session: Hillbilly Recordings of Gospel Hymns.” The Bristol Sessions: Writings About the Big Bang of Country Music, ed. Charles Wolfe and Ted Olson. Jefferson, NC: McFarland Press, 2005, pp. 187-213. “Dancing Together: The Rhythms of Gender in the Country Dance Hall.” A Boy Named Sue: Gender and Country Music, ed. Kristine M. McCusker and Diane Pecknold. Jackson: University of Mississippi Press, 2004, pp. 132-154. “The Voice of the Song: Faith Hill, Country Music, and Reflexive Identity.” The Women of Country Music: A Reader, ed. Charles K. Wolfe and James E. Akenson. (Lexington: University Press of Kentucky, 2003), pp. 109-130. “Songwriter’s Signature, Artist’s Imprint: The Metric Structure of a Country Song,” Country Music Annual, Volume 1 (2000): 112-140. “Inside the Music: Research and Theory.” Imagine: Opportunities and Resources for Academically Talented Youth, vol. 6 no. 2 (Nov/Dec 1998). Johns Hopkins University, Institute for the Academic Advancement of Youth. “The Metric Makings of a Country Hit.” Reading Country Music, ed. Cecilia Tichi. Durham, North Carolina: Duke University Press, 1998, pp. 322-337. Intégral, volumes 10 and 11. Edited by Jocelyn Neal and Evan Jones. “Grand Ole Opry.” The Encyclopedia of American Music and Culture. Santa Barbara: ABC-CLIO Press, 2013. “Country Music;” “Jimmie Rodgers.” The Grove Dictionary of American Music, 2nd Edition. Cambridge: Oxford University Press, 2012.
Review: Johnny Cash and the Paradox of American Identity, by Leigh Edwards (Bloomington: Indiana University Press, 2009). Southern Cultures vol. 17 no. 4 (Winter 2011): 213-215. “Two Stepping” and “Line Dancing” in The New Encyclopedia of Southern Culture: Volume 14—Folklife, ed. Glenn Hinson and William Ferris. Chapel Hill: University of North Carolina Press, 2010.
Review: The Hayloft Gang: The Story of the National Barn Dance. Edited by Chad Berry. Music in American Life. (Urbana and Chicago: University of Illinois Press, 2008). Journal of Southern History vol. 76 no. 1 (February 2010): 190-192.
Review: Grand Ole Opry at Carnegie Hall. Gaylord Entertainment Company DVD, 2006. Journal of the Society for American Music vol. 1 no. 2 (May 2007): 293-295.
Review: Louisiana Hayride: Radio and Roots Music along the Red River, by Tracey E.W. Laird. (New York: Oxford University Press, 2005). Journal of Southern History, vol. 72 no. 3 (August 2006): 704-705. ‘”Blue Sky Boys” and “Oak Ridge Boys” in Encyclopedia of American Gospel Music, ed. William K. McNeil. (New York: Routledge, 2005). Undergraduate: Music Theory and Analysis, History of Country Music, History of Rock Music, Popular Music Analysis, Seminar on Music in Motion. Graduate: Twang and Genre; Cover Songs; Form, Structure, and Meaning in Contemporary Songwriting (Analysis); Time in Music (Theories of Rhythm and Meter); Alt Country and Commercial Country; Authenticity in Country Music; Tonal Theory and Analysis.